Rebels in the Syrian city of Aleppo have set off a massive lorry bomb to seize back a strategic hospital occupied by Assad loyalists. 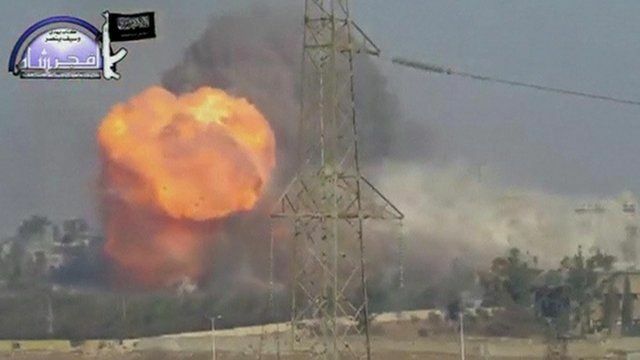 A huge fireball engulfed the al-Kindi Hospital, and the blast brought down the central section of the disused building, in Friday's daylight attack. Video footage uploaded to YouTube by a rebel group on Friday appears to show the lorry approaching the hospital followed by the blast.